The following products are made on a regular basis and can be ordered. Contact us for stock availability and delivery timescales. All prices exclude postage/delivery. 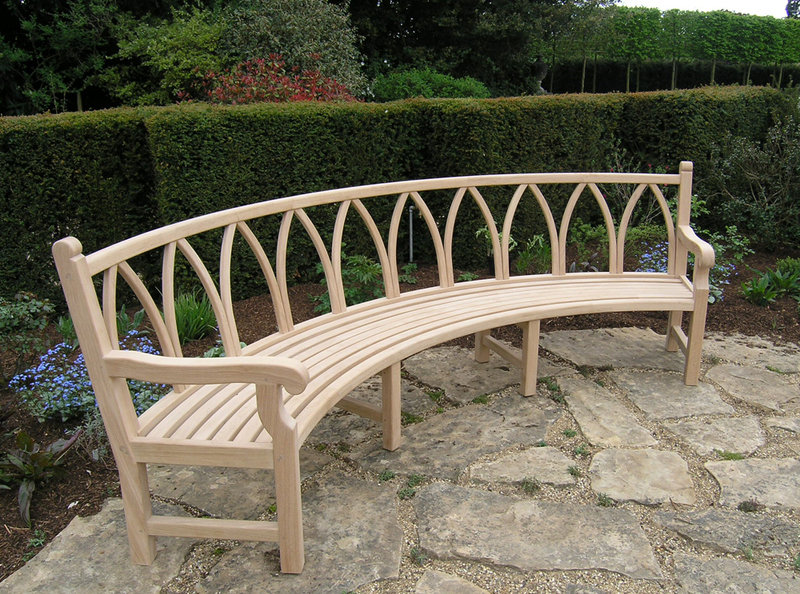 We also offer a fully bespoke service for the design, manufacture and installation of furniture and quality joinery. Contact us to discuss your requirements. 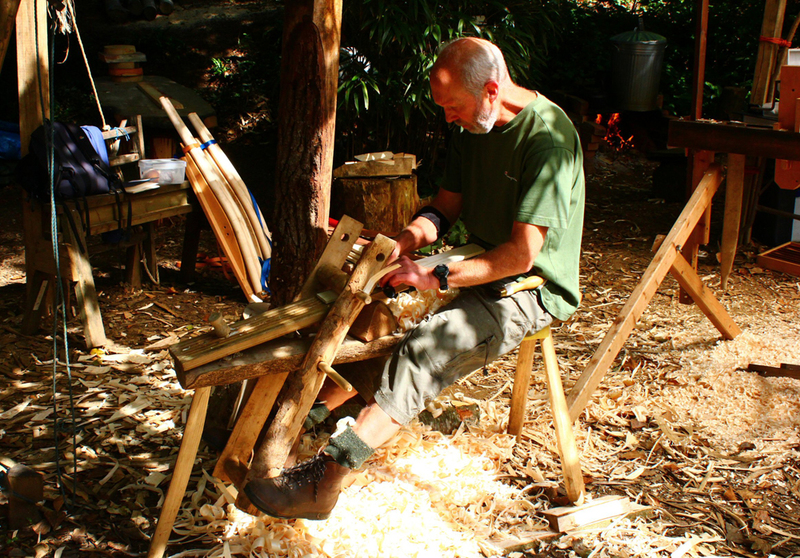 See our courses if you are interested in making any of these items for yourself. 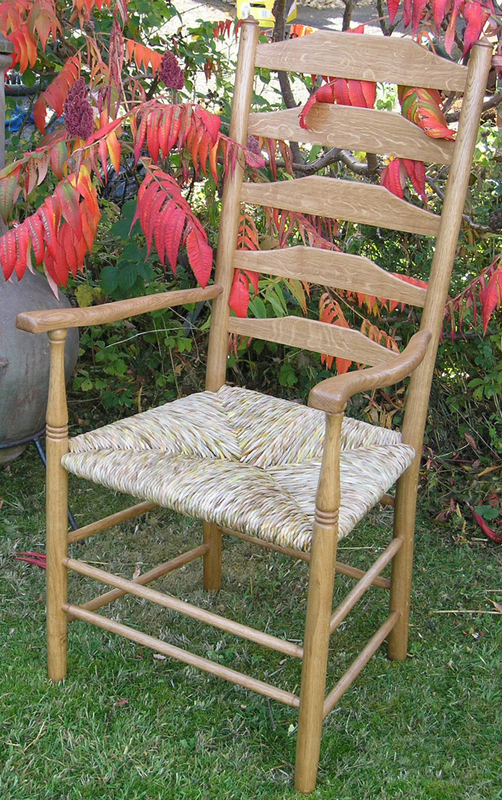 Ladder-back armchair Based on a style by Philip Clissett c1890. 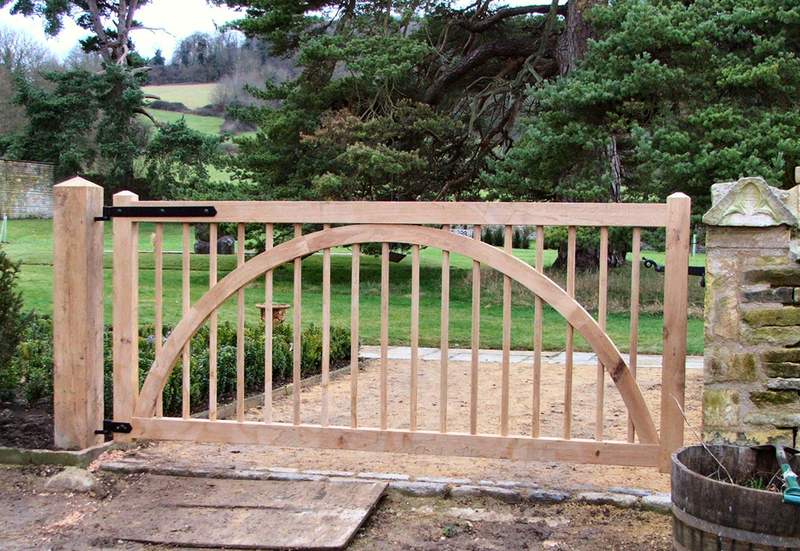 Available in Ash or Oak. Rush seated, finished with oil and wax. Add £50 for pole-lathe turned. Order deposit £50 per chair. Price and availability on application. 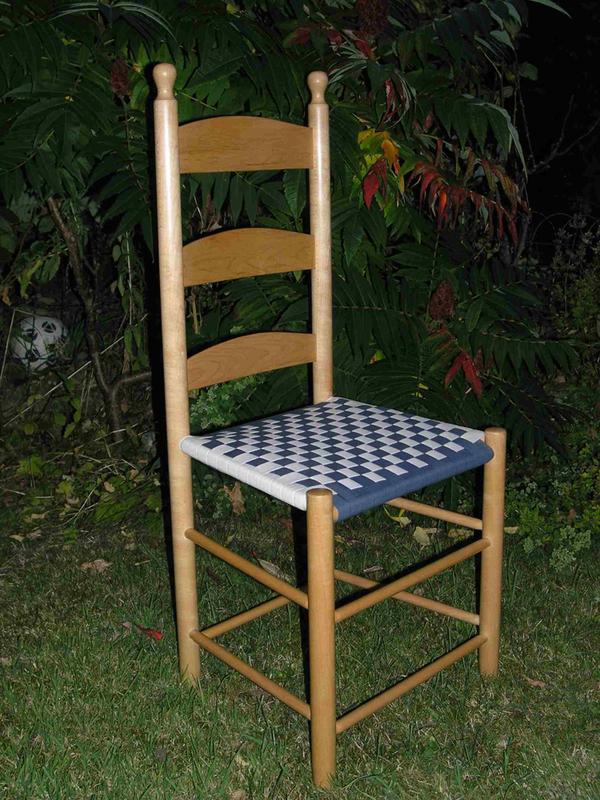 Ladder-back side chair Based on a style by Philip Clissett c1890. 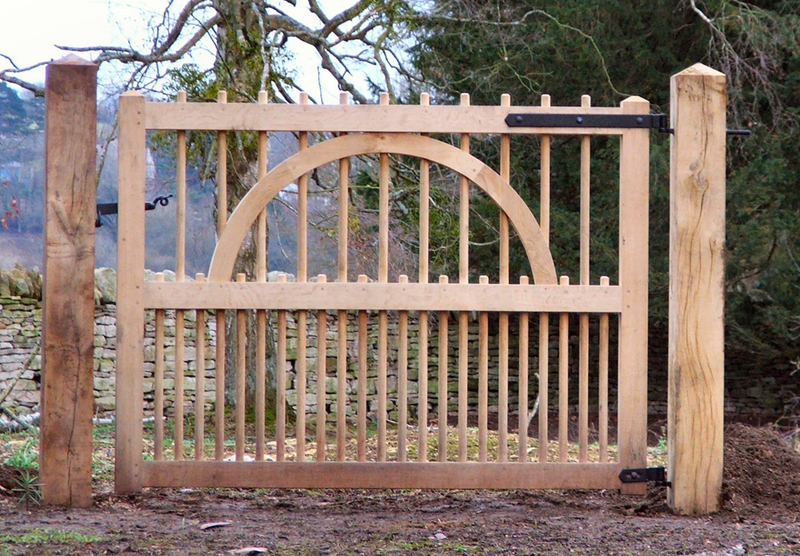 Available in Ash or Oak. Rush seated, finished with oil and wax. 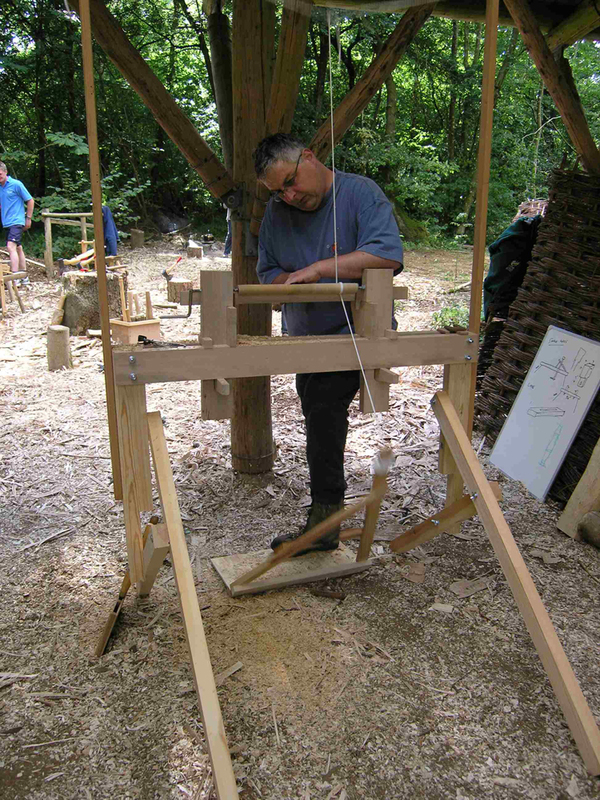 Add £50 for pole-lathe turned. Order deposit £50 per chair. 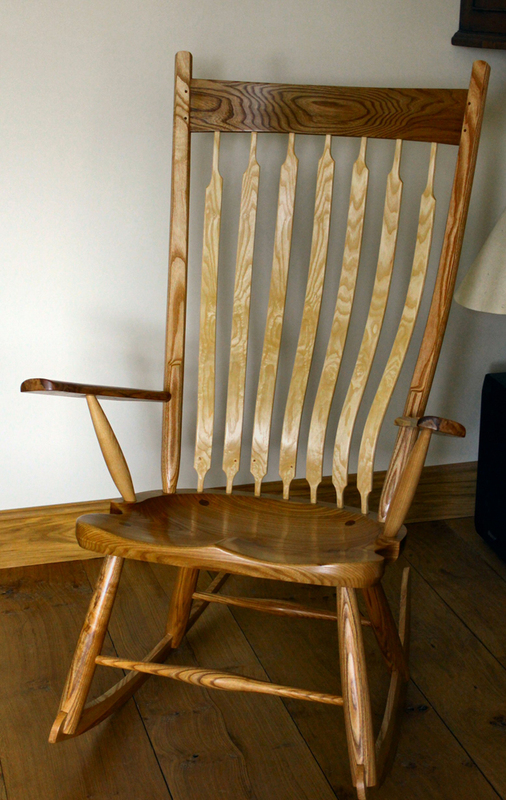 A hybrid windsor rocking chair made from Elm and Olive Ash. 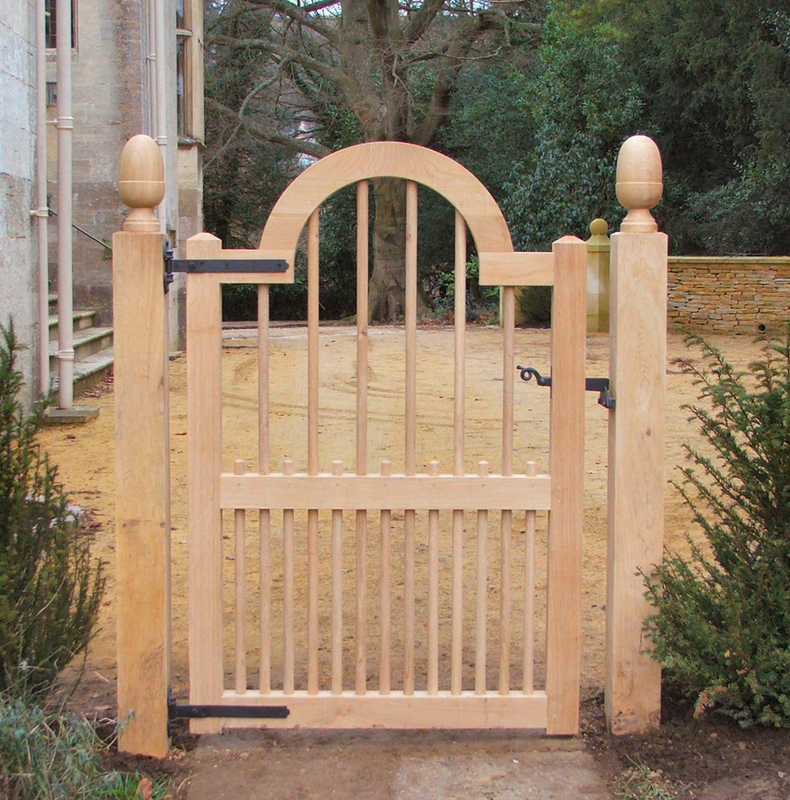 The vertical slats are flexible and curved to fit the back. Finished with oil and wax. Order deposit £280 per chair. Clissett style dining chair sets Rush seated, finished with oil and wax. 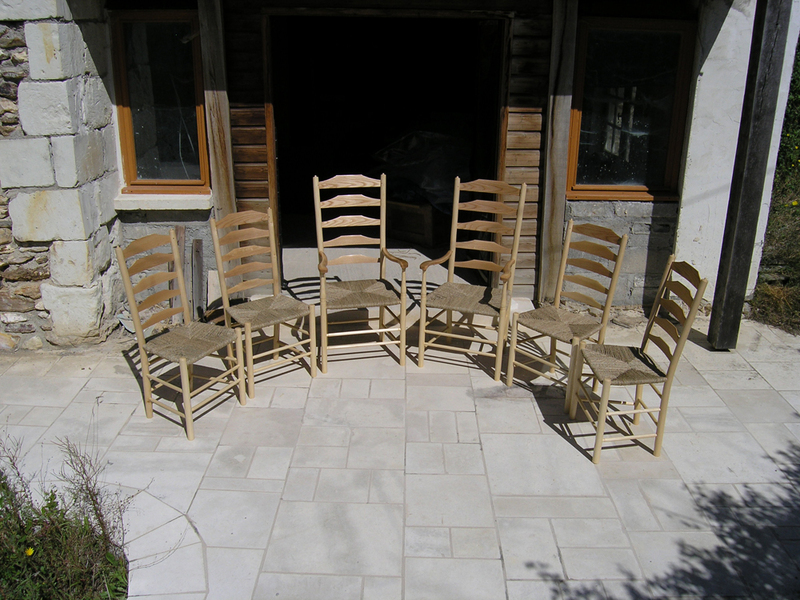 Priced individually with a 10% discount on 4 or more chairs. Colour matching and staining add £20/chair. Order deposit £50 per chair. 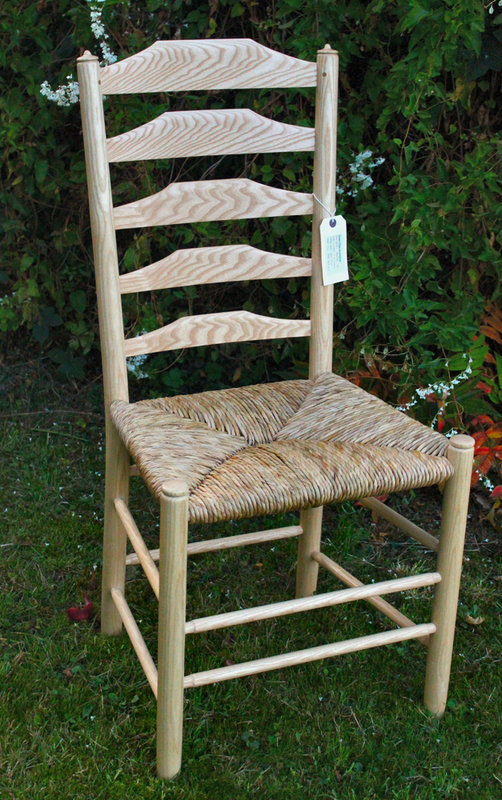 Spindle-back side chair Available in Ash only. Rush seated, finished with oil and wax. 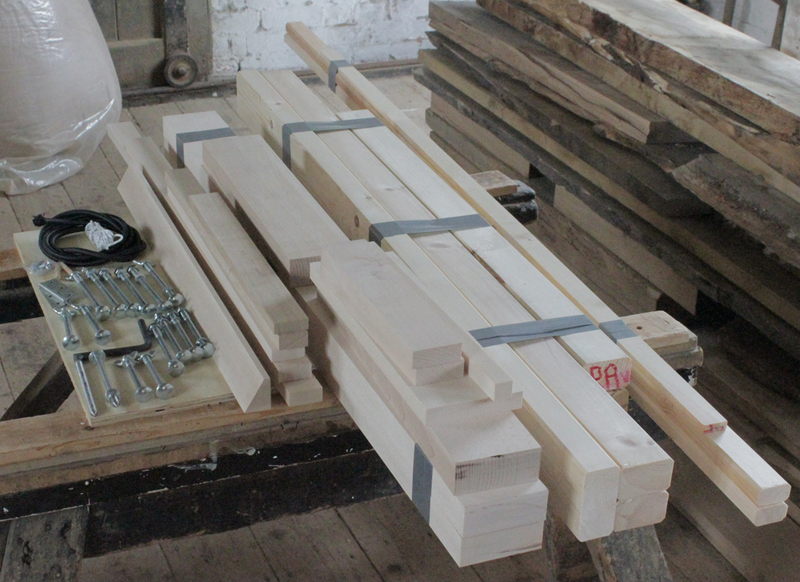 Add £30 for pole-lathe turned. Order deposit £50 per chair. 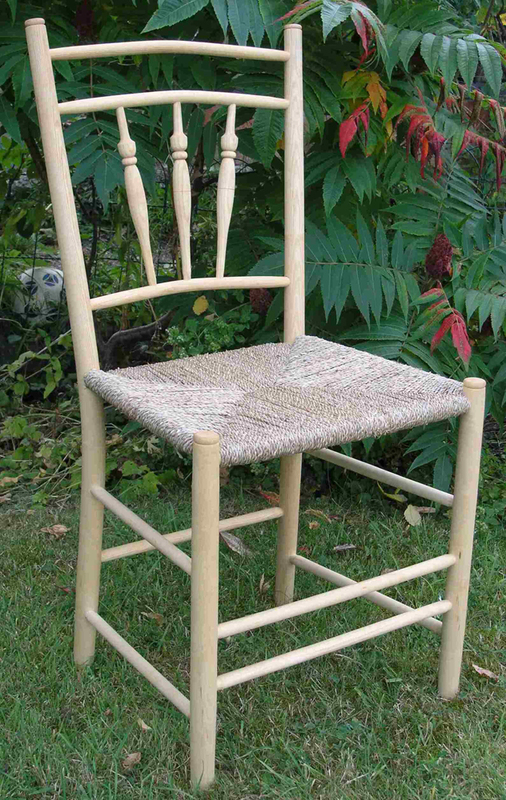 Shaker side chair Slant-back Shaker design Available in hard Maple only Shaker tape seat in two complimentary colours. Finished with oil and wax. Not pole-lathe turned. Order deposit £50 per chair. 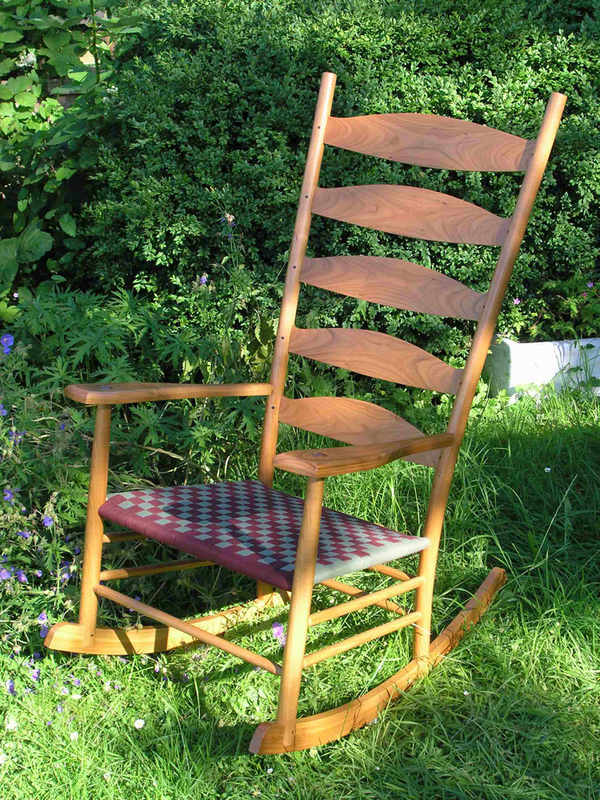 Rocking Chair American low 'laid-back' style Available in Ash or Cherry. Shaker tape seat in two complimentary colours. Finished with oil and wax. Not pole-lathe turned. Order deposit £50 per chair. 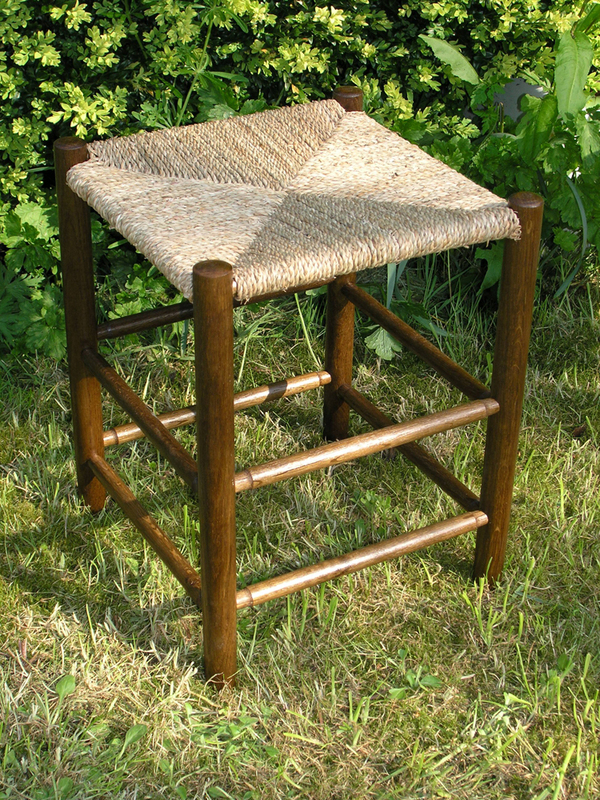 Woven seat stool Seagrass seated, finished with oil and wax. Available in 12'', 16'' or 18'' high. 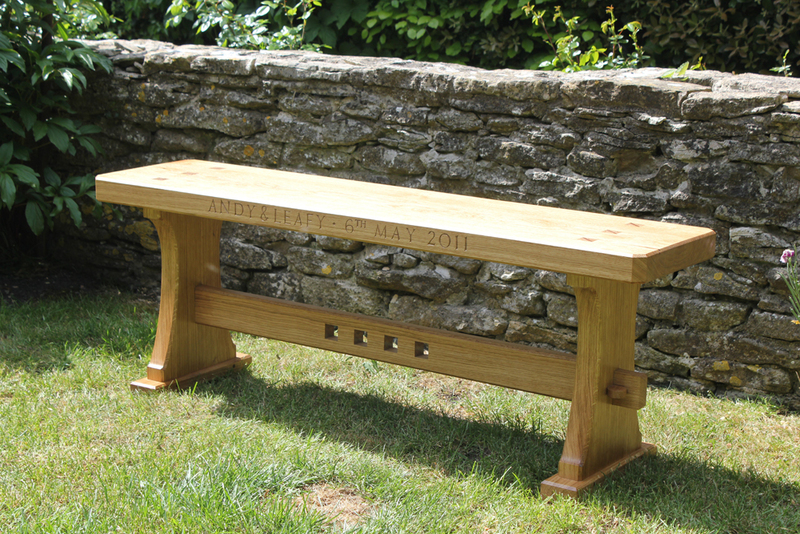 Available in Oak, Ash, Cherry, Maple or Walnut. Add £10 for fumed oak staining, oak only. 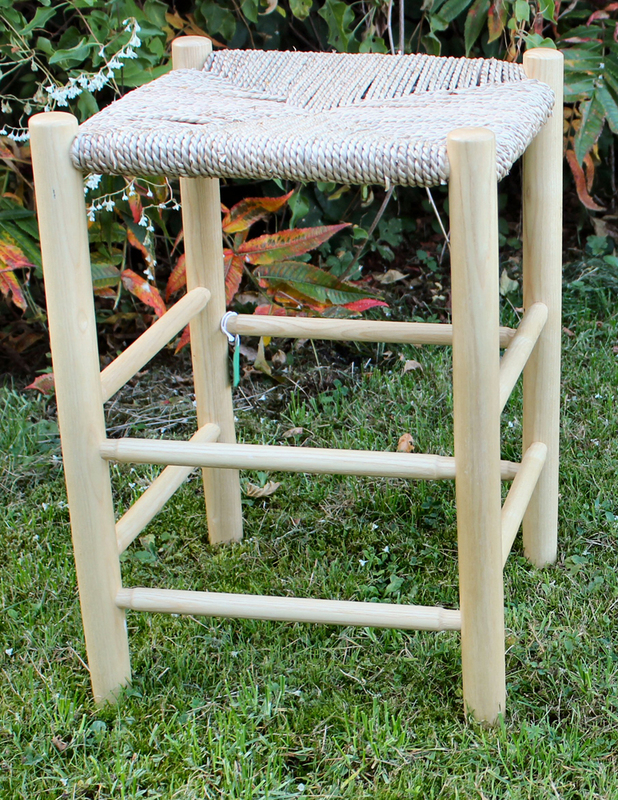 Order deposit £25 per stool. Fumed Oak Stool Seagrass seated, finished with oil and wax. Available in 12'', 16'' or 18'' high. Order deposit £25 per stool. 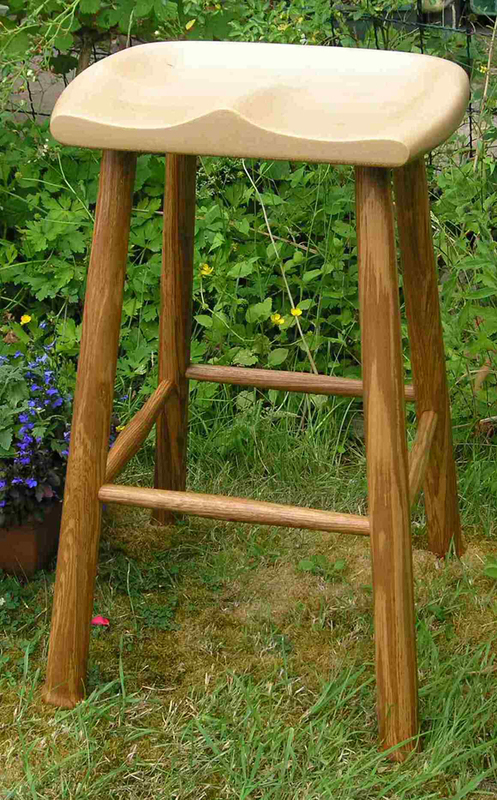 Kitchen bar stool Available in olive ash with maple seat. Height 25'' Not pole-lathe turned. Order deposit £50 per stool. Bungee Frame Kit Accessory for pole-lathe that enables you to use the pole-lathe with a bungee frame rather than the traditional pole. 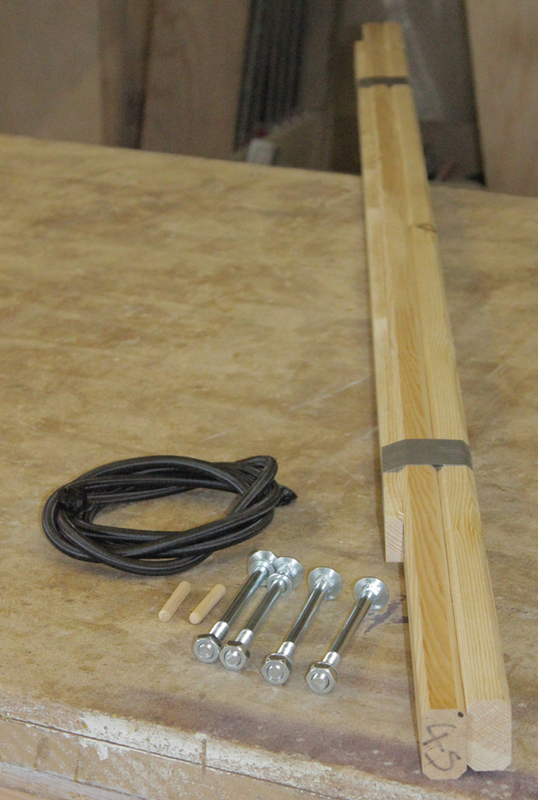 Softwood frame uprights and cross bar Shock-cord Bungee Bolts etc. to fit existing holes in lathe legs. 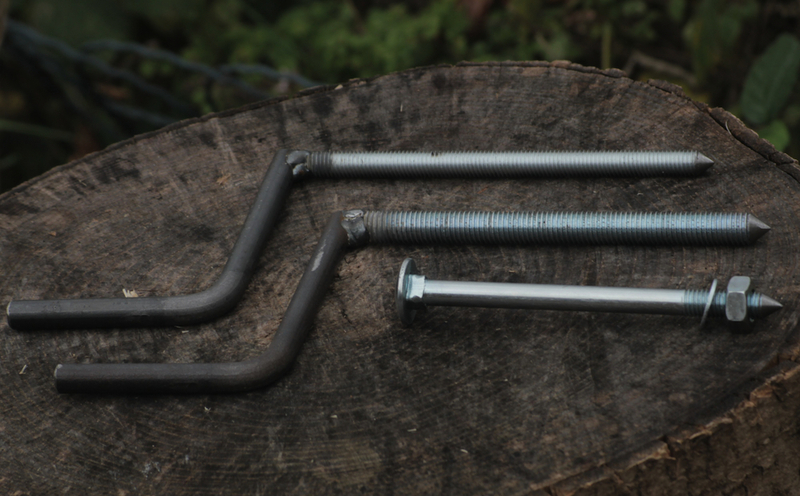 M10 or M12 Threaded bar with welded crank, M10 coach bolt, nut and washer. Both with ground points as shown. Select crank thread diameter M10 or M12 when ordering.